To use the handheld RFID reader with Kanban Live you'll need to configure it to connect to your WiFi network and ensure that the date and time are set correctly. 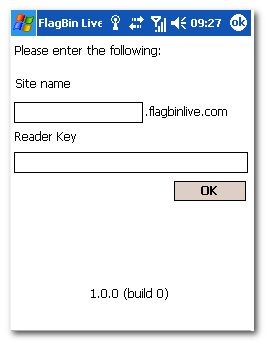 On first running the software on the handheld you will be prompted to enter your site address and reader key. Site name: Enter the site name for your Kanban Live account. Reader Key: Enter the key for this reader. You can view the available reader keys in the list of readers in the web application.